James Clark traces part of the Camino de Santiago to Santiago de Compostela and finds solace in his isolation. 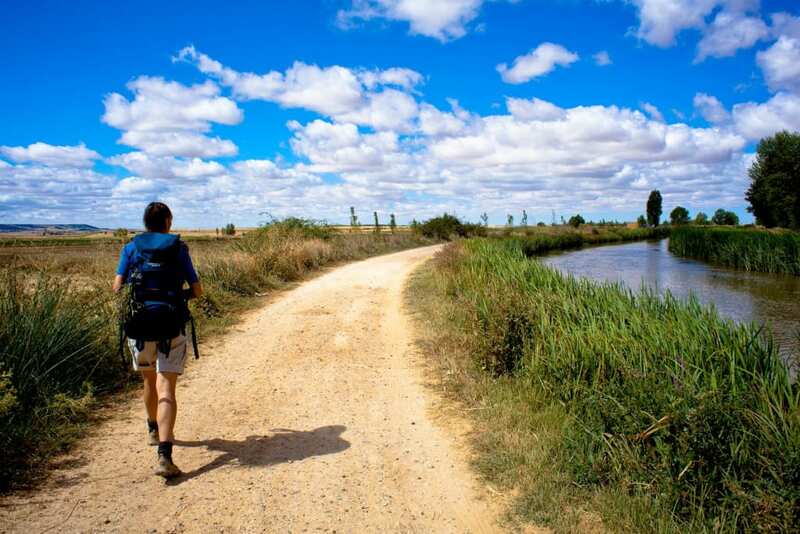 I have always wanted to walk the Camino to Santiago de Compostela and decided to sign up with Camino Ways the morning after watching The Great Outdoors columnist Ed Brynes make the pilgrimage on BBC2. The only issue I had was with time, so I booked to do the Camino Portuguese, the last 100 kilometres of the pilgrimage to get a feel for what it’s all about. I wanted to experience the Camino, but with someone to transport my luggage, a bed for the night, shower or bath – preferably shower as I couldn’t outstretch a full leg in a Spanish bath – and local cuisine known as the pilgrim’s menu. This consisted of a starter that was normally a bowl of pasta or a salad, followed by chicken and potatoes and fruit or a yoghurt. Perhaps not the most exciting menu in Spain, but none the less filling and appreciated after a long day. 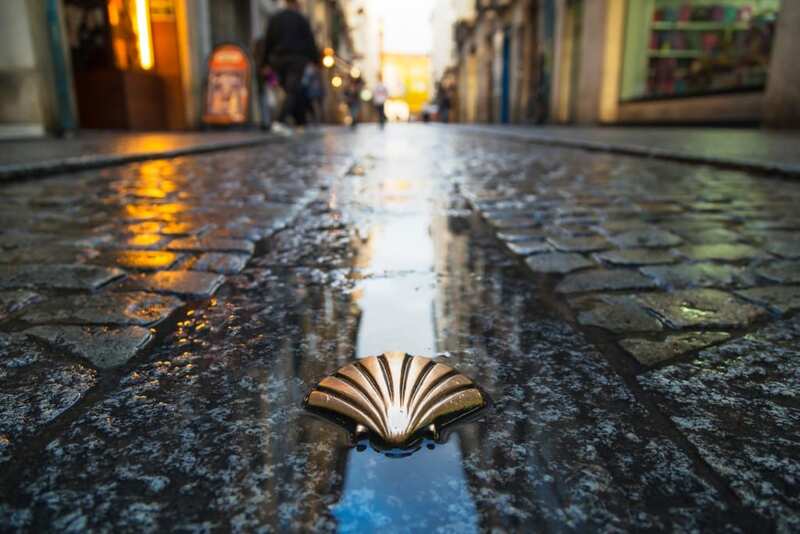 The Camino Portuguese and a further seven routes lead to the tomb of Saint James in Santiago de Compostela, where his remains are said to be enshrined after his martyrdom in 44 AD. Literally thousands of pilgrims have walked these paths. Now before you start thinking that I’m some kind of religious follower wanting to walk in the footsteps of the Apostle James, I am not, but what I do like is to put one foot in front of the other and escape into the forest and mountains. With shouts of “Buen Camino!” echoing around me I ventured into unknown territory. On day one, I walked from Tui to O Porrino where I made the mistake of ignoring police tape and entered a woodland, which I later discovered was flooded. Rather than turn back, I crossed the water and spent the rest of the day wet, cold and upset that my hiking shoes that had been in many a water-based situation had at long last become soaked through. I would like to lie and say that I learned from my mistake, but as I was already wet I did the same thing a second time over a flooded bridge. Upon reflection with a further eight kilometres to walk I learned a valuable lesson that day. The second day, I conquered the uphill tracks through forests and villages from O Porrino to Arcade with the sounds of dogs, chickens and the odd shout of “Buen Camino!” for company. The reality of what I was doing sank in, and I felt like I was really getting into the Camino. Day three, I woke up to glorious sunshine and headed up and down the mountain between Arcade to Pontevedra. As I began the descent on the other side, it started to rain, but it was a welcome break from the heat of the sun. Later the sun rose as I watched farmers in rural communities sewing their crops and repairing fences and walls damaged by the winter. The next day involved quite a bit of light climbing over stone paths from Pontevedra to Caldas da Reis. The route was mainly downhill and muddy with great mountain streams for drinking out of and climbing over. No doubt if I had have gone a month later the ground would have been dry and mountain streams drier. On day five between Caldas da Reis to Padron I was truly excited when I saw a bus stop to Santiago de Compostela. I can’t deny the idea of riding to the finish line did cross my mind, but I’m no quitter. I was starting to get used to my own thoughts and meditate in the fresh as I ventured down into the lush and cool canyon. As the sixth day arrived and I started the hike to Santiago de Compostela the scenery became a lot busier and it was obvious that I was approaching a city as I walked along mountain paths. Entering the city, the cathedral’s Romanesque, Gothic and Baroque spires and sculptures soared higher than I could have imagined. As I sat in the square facing the front of the cathedral, I was full of the sense of achievement, a touch of relief and the slightest bit of sadness as it was time to return to reality and leave my thoughts behind. I was expecting to encounter a mass of pilgrims along the route and outside the cathedral, instead I saw one pilgrim while hiking, or at least I presume he was a pilgrim as he was wearing sandals and a robe. The other few hundred people I encountered along the way were hikers like me and cyclists. The backpacks and bottled water gave it away. The Camino is about finding yourself and that I most certainly did. I had no one to speak to for a week apart from a couple of women from Holland I met at the dinner tables of three different hotel restaurants. However, I was not there to be sociable as I wanted complete immersion in the Galician countryside and in that I was not disappointed. I’m already planning my return to do the 200 kilometres route on a mountain bike later this year. 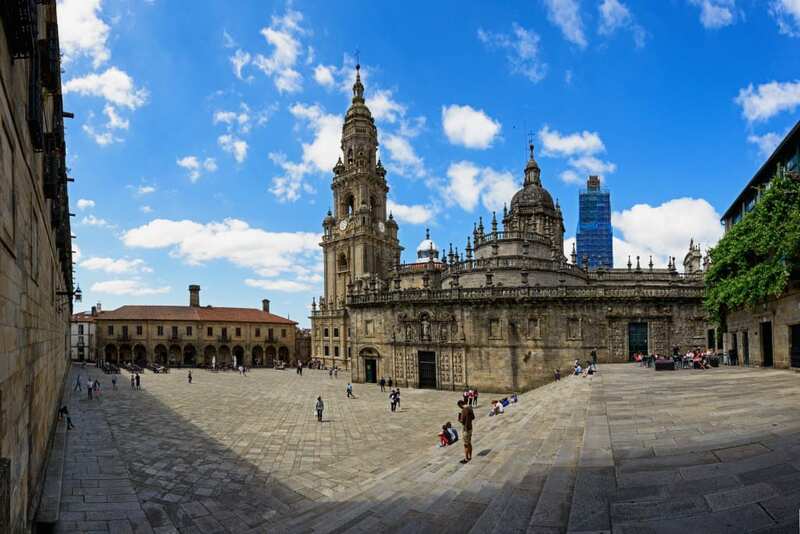 If you don’t want to walk the Camino de Santiago, Ryanair has direct flights from London Stansted to Santiago de Compostella five times a week (not Thursdays or Saturdays). Weather can be unpredictable on the trek, for up to date weather forecast, click here. If you want to book a hotel in Santiago de Compostela, please do so through our bookings portal. It costs you no extra, but the small commission we make from each booking helps run this site. For further information on the Camino de Santiago and to plan your route, visit here. 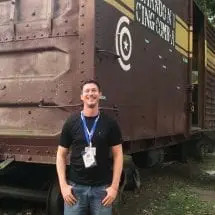 James Clark is a UK-based travel writer specialising in adventure and the great outdoors.